Royal Commission into Institutional Responses to Child Sexual Abuse - Ballarat District Orphan Asylum, Orphanage, Children's Home 1865-1980's Never Hidden Or Forgotten! "If you have attended a private session, or provided a written account of your experiences, we invite you to send your own 'Message to Australia' The ‘Message to Australia’ is an opportunity for the people who have bravely told their stories to the Royal Commission to send a short message to the Australian community about their experience and their hopes for creating a safer environment for children in the future. At the end of the Royal Commission, these messages will be published in a book and kept at the National Library of Australia, where it will be available to members of the public and preserved for future generations". Website Here. Cardinal George Pell is currently in Rome and claims he is too ill to fly to front the Royal Commission in Ballarat early February 2016 . The Royal Commission into Institutional Responses to Child Sexual Abuse. Justice Peter McClellan AM, explain the work of the Royal Commission. The purpose of this study is to understand life experiences of Forgotten Australians and/or people who have lived in all types of institutions (such as children's homes and orphanages) which operated in Australia until the late 1970s and those who lived in other forms of out-of-home-care as children, up to 1989. This information will help us identify the current needs of Forgotten Australians and/or other people who have grown up in 'care' and improve services for them. It will also be useful in developing policies and practices to improve the wellbeing of children who are currently in out-of-home-care and those who are leaving 'care'. Anyone wishing to participant in this study can by clicking Here will take you to their page. Royal Commission calls for submissions on redress schemes . The Royal Commission into Institutional Responses to Child Sexual Abuse today released an issues paper on the effectiveness of redress schemes in relation to child sexual abuse in institutions. Royal Commission CEO Janette Dines said Issues Paper 6 inquired into what institutions and governments should do to ensure justice for survivors of child sexual abuse in Australian institutions through the provision of redress. “Redress schemes in Australia have taken various forms, including financial compensation, provision of services, recognition and apologies,” Ms Dines said. “The Royal Commission is required under its terms of reference to consider the role of redress in addressing and alleviating the impact of child sexual abuse. This is a very important part of the Royal Commission’s inquiries. “The Royal Commission is seeking submissions from interested individuals, government and non-government organisations on the matters raised in Issues Paper 6. Organisations and individuals wishing to respond to Issues Paper 6 have until Monday 2 June 2014 to lodge a submission. The Hon. Justice Peter McClellan AM, Chair of the Royal Commission into Institutional Responses to Child Sexual Abuse, launched the Long-term Outcome of Forgotten Australians Study (LOFA) research project at the University of New South Wales today. The research project is the first national research study to examine the range of experiences that children had while in the care of Australian childhood institutions or in out of home care from 1930 – 1989. You can read Justice McClellan’s speech Here. The Royal Commission is seeking community input into its consultation paper on redress and civil litigation. Submissions and comments are due by midday Monday 2 March 2015. The royal commission into child abuse will soon announce its findings, after nearly 18 months investigating abuse across the nation, including the Hunter. The Radio ,ABC 1233's Jill Emberson was joined by local lawyer Peter Kelso, who also owns royalcommission.com.au, a site that follows the current investigations and provides information to potential witnesses. Peter spoke about his own experience with abuse and why he's using his skills to help victims come forward. To listen to Peter Kelso interview with Jill Emberson click Here. Reports,News Paper Articles and Survivors Stories. On my advice, today the Governor-General has appointed a six‑member Royal Commission into Institutional Responses to Child Sexual Abuse. Child sexual abuse is an evil crime. Anyone who has ever suffered child abuse deserves to have their voices heard and their claims investigated. The Royal Commission will inquire into how institutions with a responsibility for children have managed and responded to allegations and instances of child sexual abuse and related matters. The Commission will not specifically examine child sexual abuse outside organisations, such as in the family. However, any recommendations made by the Commissioners are likely to improve the response to child sexual abuse wherever it happens. 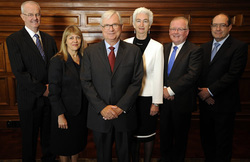 The Royal Commission will be led by Justice Peter McClellan AM. Justice McClellan currently holds one of the most senior judicial positions in New South Wales judiciary as the Chief Judge at Common Law of the Supreme Court of New South Wales. Justice McClellan has an extensive legal career – including chairing the Sydney Water Inquiry and working on the Royal Commission into British Nuclear Tests in Australia. Given the scope, scale and seriousness of this Royal Commission, we asked the Governor-General to appoint a further five Commissioners to support the inquiry. We have carefully selected a panel of individuals that draws together the right experience and understanding for this incredibly important task. Bob Atkinson, the former Queensland Police Commissioner, brings over 40 years of policing experience to the Royal Commission, including 12 years as Police Commissioner. Justice Jennifer Coate served for 20 years as a magistrate and county court judge in Victoria, including for five years as the President of the Children’s Court and most recently as the Victorian Coroner. Justice Coate has also now been appointed to the Family Court of Australia. Robert Fitzgerald has served as a Commissioner in the Productivity Commission since 2004. He also has experience in commerce, law, public policy and community services, including as Community and Disability Services Commissioner and Deputy Ombudsman in New South Wales. Professor Helen Milroy is a consultant psychiatrist with extensive experience in child and adolescent health, including the mental health impacts of child sexual assault, and is currently Winthrop Professor and Director of the Centre for Aboriginal Medical and Dental Health at the University of Western Australia. Former Senator for Western Australia Andrew Murray brings tremendous experience as a legislator and member of landmark Senate inquiries into children’s experiences in institutional care.